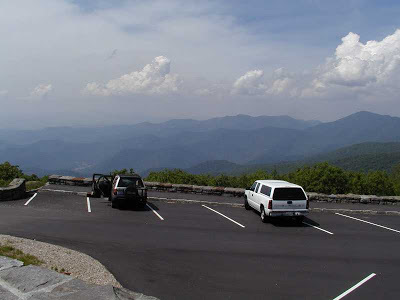 We had some time a few weeks ago to head up the Blue Ridge Parkway just northeast of Asheville to Craggy Gardens, a section of the Blue Ridge Parkway off of Milepost 364 that’s known for its proliferation of pink and purple rhododendron in May/June (and lots of other wildflowers in spring and summer) and its expansive mountain views. More than one hiking trail graces this pretty section of the Parkway, and we chose the Craggy Pinnacle hike (one of our Ten Hikes for Summer in the North Carolina Mountains) due to the fact that it’s a fairly short trail, it has a gorgeous view at the end, and it’s partially shaded…perfect for a hot summer day…and by hot, we mean 85 degrees at our elevation and 73 degrees at Craggy Gardens. 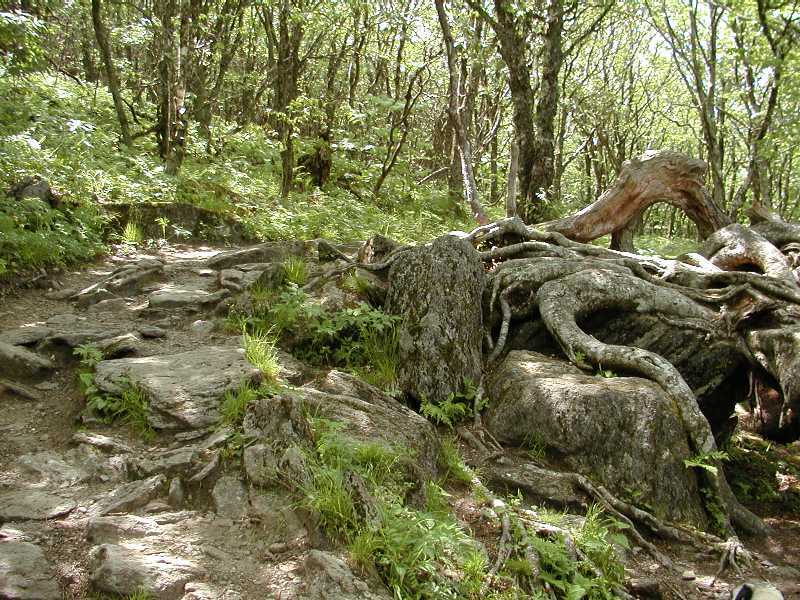 And back down we go! As you can see, the Craggy Pinnacle Trail is innpug friendly, and dogs and people have plenty of space to share the trail. 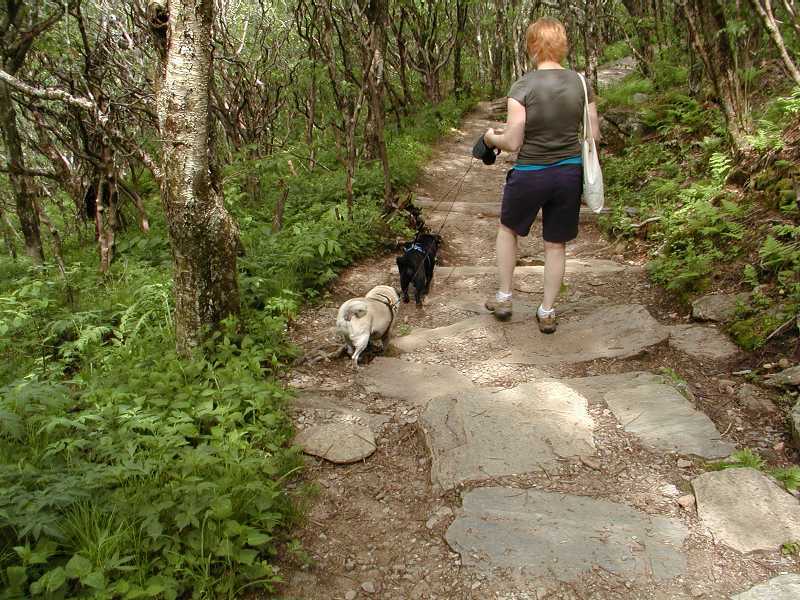 Almost all public trails that we know of in the area are pet friendly; just be sure to keep your dog on leash. 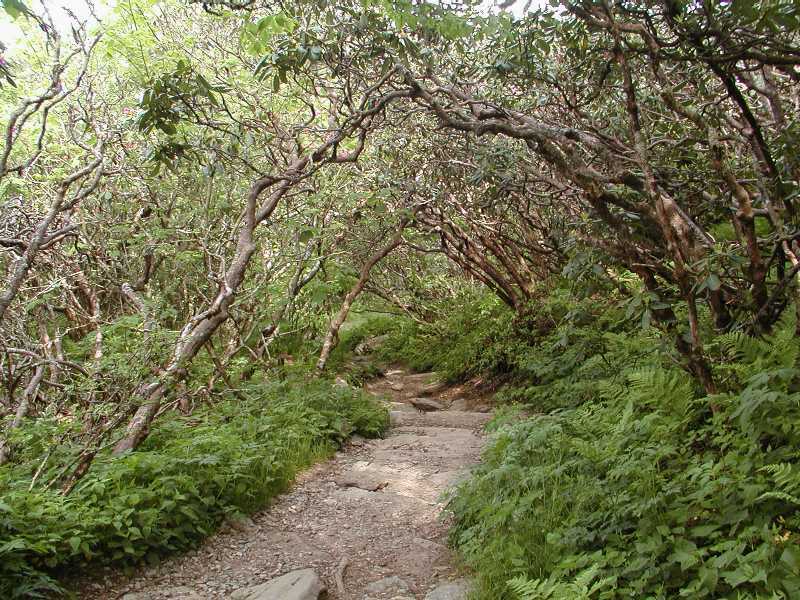 We have maps of all the trails at Craggy Gardens for guests of the Inn. 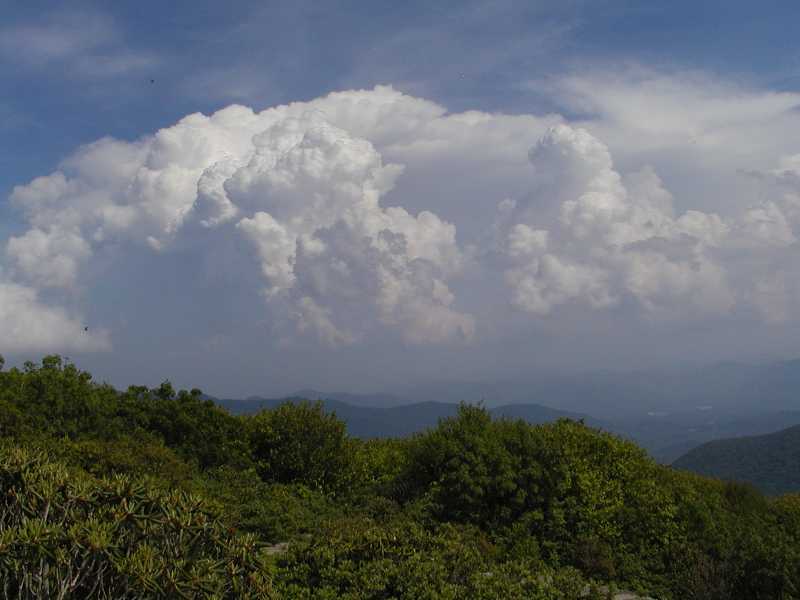 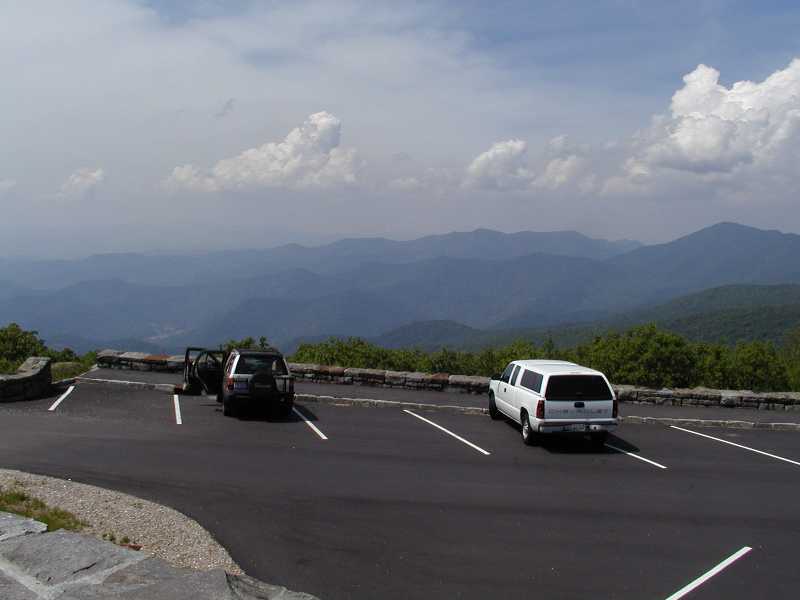 For those who just want to check out the view and spend some time among the wildflowers, other highlights of Craggy Gardens include a picnic area and a visitor center. 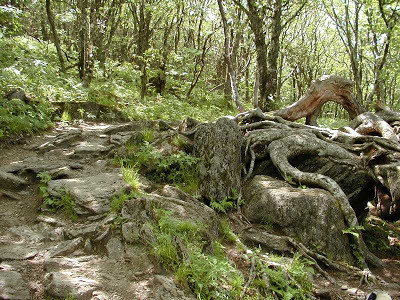 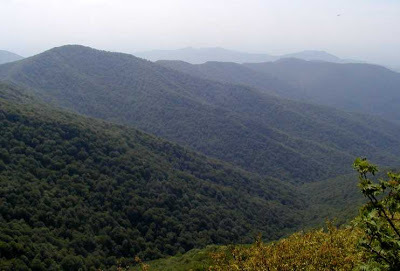 Even more details about Craggy Gardens can be found at www.romanticasheville.com/Craggy.htm. 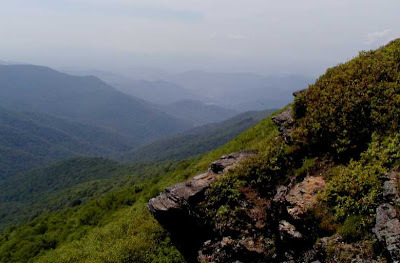 This entry was posted in Uncategorized and tagged Asheville, Blue Ridge Parkway, hiking, outdoors by Inn on Mill Creek. Bookmark the permalink.